As the second month of the third oil trading quarter of 2016, comes to a close both Brent and WTI futures remain in technical bull territory despite a recent cooling down of oil prices. The Oilholic is struggling to find any market analysts – including those at UBS, Commerzbank, Morgan Stanley or Barclays to name a few – keeping their faith in (a) the oil producers’ talks pencilled in for end-September producing anything tangible, and (b) whether an output freeze would actually work with oil production in Russia and Saudi Arabia at record highs. A real terms cut in production could provide a short-term boost to prices but it does not appear to be even a remote possibility at this point. Yet, the long callers continue to bet on an uptick if the latest US CFTC data is anything to go by. As the Oilholic pointed out in July, demand projections continue to head lower, so yours truly did ask the question in a recent Forbes piece – are the talks as much about stabilising oil supply, or a likely post-Sept dip in China’s demand. As for viewing the oil price via the prism of demand permutations, Fitch Ratings’ latest assumption for ratings purposes just about sums it up. The rating agency assumes Brent and WTI will average $42 per barrel in 2016, up from its $35 base case in February. “However, we do not believe that the rapid price recovery seen in the first half of 2016 will continue. The sub-$30 prices at the start of the year approached cash costs for many producers and were unsustainable in all but the very short term. Prices in the $40-$50 range allow most producers to break even on a cash basis, if not to cover sunk costs,” it added. Furthermore, market expectations that US shale production will begin to rebound at prices above $50, will keep prices below that level until a supply deficit has eroded some of the inventory overhang. Away from market shenanigans, another one of those research papers predicting there are no viable alternatives to oil and gas for meeting global energy needs arrived in the Oilholic’s mailbox. This one is from the Head of Petroleum Geoscience and Basin Studies research and Chair of Petroleum Geoscience at University of Manchester Dr Jonathan Redfern and energy recruiters Petroplan; overall an interesting read. Sticking with ‘crude’ academic papers, another interesting one was published this month by Luisa Palacios of Columbia University’s Center on Global Energy Policy charting Venezuela’s growing risk to the global oil market. Furthermore, the stability of exports reflected in the data in first half of the year "masks a deteriorating trend with June exports already more than 300,000 barrels per day lower than last year’s average." Despite all the headline noise about Venezuela, the most severe risks to oil markets thus still lie ahead. Certainly food for thought, but that’s all for the moment folks! Keep reading, keep it crude! © Gaurav Sharma 2016. 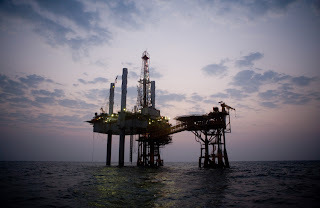 Photo: Oil platform © Cairn Energy Plc. As oil remained in a technical bear market for much of July, we saw well timed quips by major oil producing nations, within OPEC and beyond, fanning chatter of another round of talks aimed at freezing production. And well, its done the trick – both Brent and WTI futures have bounced back from the their low point of August 2, to an above 20% rise as the Oilholic writes this post, i.e. a technical bull run! Yours truly cannot consciously recommend buying into this phoney rally, because any talks between OPEC and non-OPEC producers face the same impediments as last time, with Iran and Iraq remaining non-committal, and those calling for a freeze (Saudi Arabia and Russia) only willing to do so at record high levels of production. 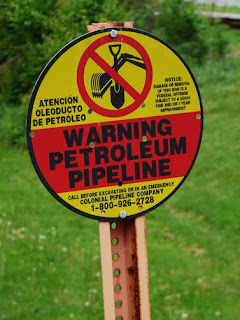 For the Oilholic’s detailed thoughts on the issue, via a Forbes post, click here. However, it’s not just National Oil Companies who are in full on production mode. It seems the largest independent US and Canadian oil exploration and production (E&P) companies are still paying their executives more to focus on boosting production and replacing reserves, rather than conserving capital and reducing debt, according to Moody's. Only four companies of the 15 companies, the ratings agency sampled in July, even included debt-reduction goals as part of their broader financials, or balance-sheet performance goals. For example, Pioneer Natural Resources (rated by Moody’s Baa3 stable) included a ratio of net debt-to-EBITDAX to account for 15% of its executives' target bonus allocation. Fourteen of the sampled companies use performance award plans linked to relative total shareholder return. Christian Plath, Senior Credit Officer at Moody's, opined that the strong and direct focus on share prices raises certain credit risks by rewarding aggressive share repurchases and the maintenance of dividends even when cutbacks would be prudent. “The focus on shareholder returns also reflects the E&P companies' high-growth mindset, and may motivate boards and managers to focus on growth over preserving value. Nearly all of the awards are in some way linked to share-price appreciation. While large companies generally try to tie long-term pay closely to share-price performance, the link appears stronger in the E&P sector,” he said. Furthermore, Moody’s found that despite the slump in oil prices that has dented E&P company returns, production and reserves growth targets still comprised almost a quarter of named senior executives' target bonuses in 2015. “This makes it the most prevalent metric in annual incentive plans ahead of expense management and strategy. Given our pessimistic industry outlook, this system of compensation is negative for credit investors and suggests that many E&P companies are finding it difficult to shed their high-growth strategies," Plath added. Drawing a direct connection between what Moody’s says from a sample of 15 North American E&P companies and the gradually rising US and Canadian rig counts would be an oversimplification of the situation. However, taken together, both do point to producers stateside either getting comfortable in the $40-50 per barrel price range or finding ways of carrying on regardless with the full backing of their paymasters. 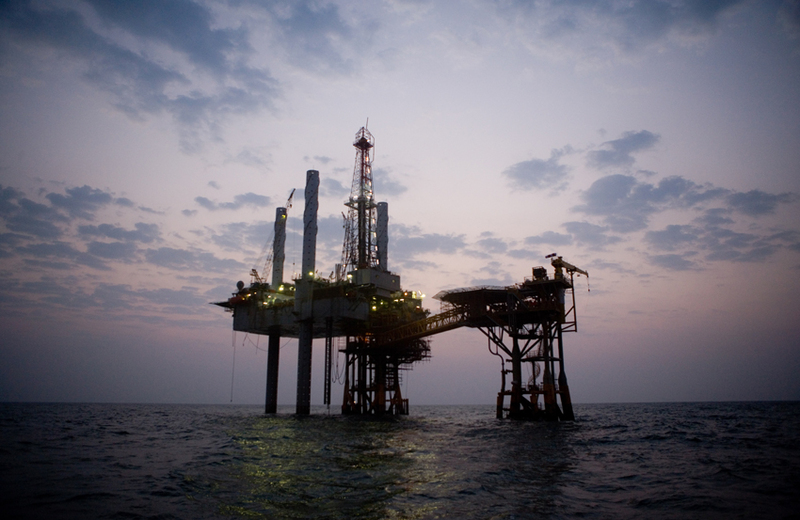 Any price boosting production freeze by global oil producers will be warmly welcomed by them. That’s all for the moment folks! Keep reading, keep it crude! © Gaurav Sharma 2016. 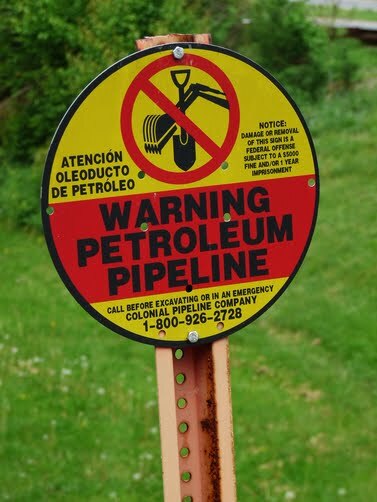 Photo: Pipeline warning sign, Fairfax, Virginia, USA © O. Louis Mazzatenta / National Geographic.